Waterfall Info: This is a very scenic, low-flow waterfall on an unnamed tributary of the Middle Fork Broad River, flowing in from the northwest a little downstream from Hurricane Falls and upstream from Reservoir No. 44. 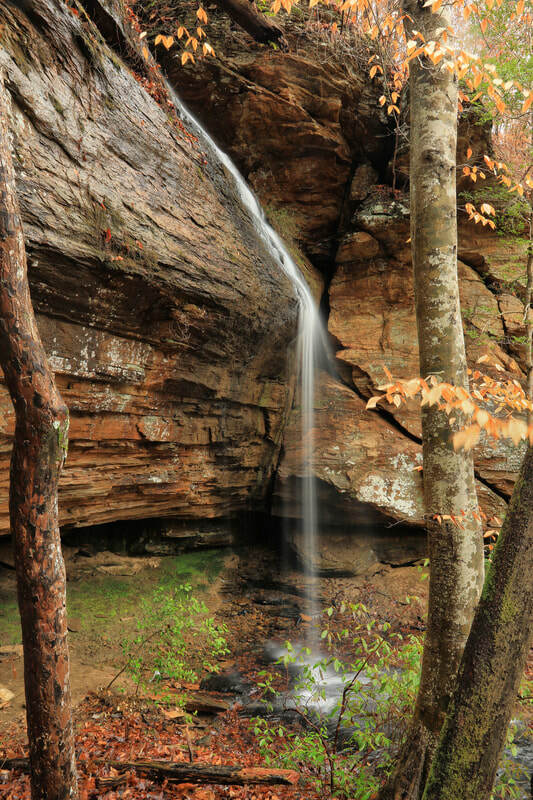 The waterfall is probably on private property, although there are some disagreements between maps, as the waterfall is extremely close to the Lake Russell Wildlife Management Area boundary. Folks still bushwhack to Turtle Falls from Hurricane Falls, and I haven't heard of anyone ever running into issues, but I will not advocate trespassing. You're on your own. Best seen in wet weather.